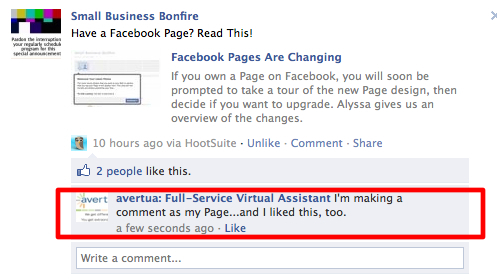 Yesterday, I wrote a post outlining the changes to Facebook Pages. 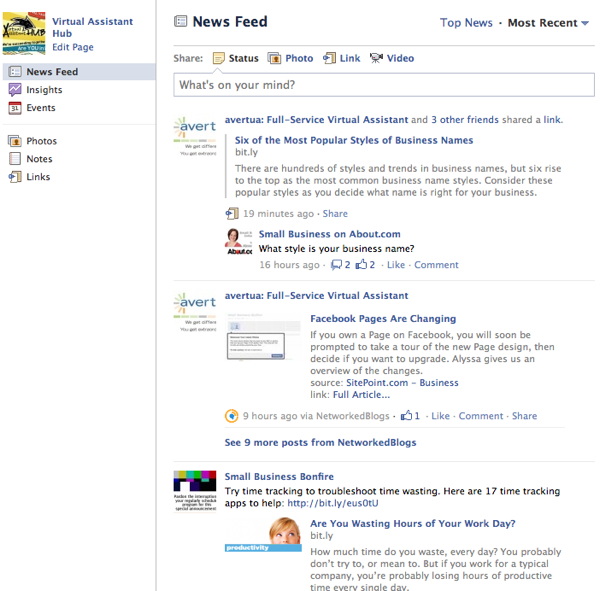 These are pretty big changes, and from the comments I’ve seen so far, they introduce the potential for some issues, particularly for businesses who use Facebook Pages. Since it appears this upgrade is happening, with or without the blessing of the people behind the estimated 3 million Pages on Facebook, we should learn as much as we can as quickly as we can about how to use the new design effectively. I did some poking around in one of the most confusing features — using Facebook as if you are logged in as your Page, not you. Here is a look at what I’ve discovered. 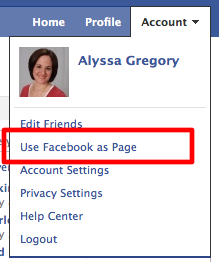 You can use the navigation at the top by clicking on “Account,” then “Use Facebook as Page,” or the link to switch back. Through my own trial and error, this is what I’ve found won’t work. I couldn’t interact with any personal profile that has privacy setting enabled; I could only share from my own profile to my Page. 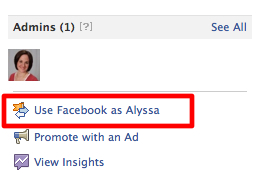 According to Facebook, it’s only possible for you to comment on profiles as your Page if a person allows everyone on Facebook to comment on their posts. I also couldn’t use Facebook as my Page from my iPhone. 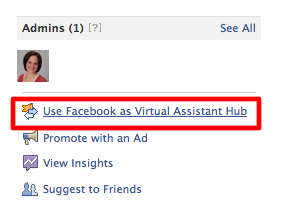 According to Facebook, this functionality is not available for any mobile phones. These changes will certainly take some getting used to. I’m finding it especially cumbersome to juggle the various login capabilities as the admin of multiple Pages. Between the Pages and a personal profile, it takes some extra diligence to ensure you’re posting to the right place as the right entity. 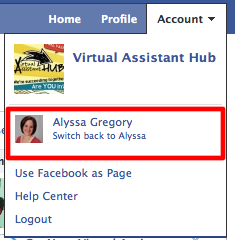 But all changes take time, and we’ll have to see how these impact Facebook users after the dust settles. I’m interested to hear your own feedback if you’ve explored the new changes. What do you love? Hate?